A well-annotated, impartial anthology of key texts from world religions--including the primitive, ancient, and esoteric alongside the living faiths of both Western and Eastern cultures. 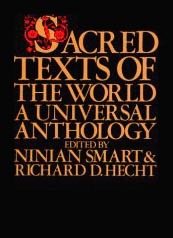 The excerpts are grouped by faiths and subclassified by type: sacred narratives, doctrines, rituals, institutional expressions, experience,and ethics. Look inside this book at Amazon.com to see Table of Contents. This comprehensive anthology contains writings vital to all the major non-Western religious traditions, arranged thematically. It includes colourful descriptions of deities, creation myths, depictions of death and the afterlife, teachings on the relationship between humanity and the sacred, religious rituals and practices, and prayers and hymns. 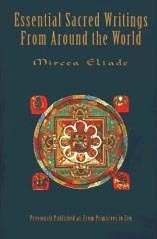 Mircea Eliade, a recognized pioneer in the systematic study of the history of the worlds religions, includes excerpts from the Quran, the Book of the Dead, the Rig Veda, the Bhagavad Gita, the Homeric Hymns, and the Popol Vuh, to name just a few. Oral accounts from Native American, African, Maori, Australian Aborigine, and other people are also included. This anthology of readings from the major world religions draws together excerpts from key scriptures, later writings, and contemporary articles to provide a sense of each faith. The book gives each religion the opportunity to explain itself, its beliefs and relevance in today's world in its own terms. With the assistance of an international team of highly-respected specialists, the authors have selected a variety of excerpts which provide insight into today's living religions and the profound impact these religions have on the lives of countless people around the world. 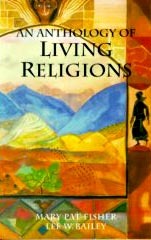 Chapters explore indigenous sacred ways, Hinduism, Jainism, Buddhism, Taoism, Confucianism, Judaism, Christianity, and more. An essential collection of the world's spiritual wisdom--a world bible for our time from Buddhist, Hindu, Confucian, Taoist, Jewish, Christian, Islamic, and primal religion sources. 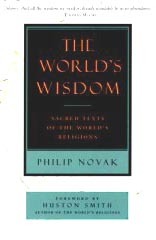 Philip Novak distills the most powerful and elegant expressions of the wisdom of humankind. Authentic, poetic translations of key texts are coupled with insightful introductions and "grace notes." Presenting scripture readings in the context of their usage within the major religious traditions themselves and taking account of recent scholarship on the role of scriptures in religion, this anthology allows students to encounter world religions in a direct and meaningful way. Anthology of World Scriptures is a collection of the most notable and instructive scriptures of the major living religions of the world: Hinduism, Buddhism, Jainism, Sikhism, Confucianism, Taoism, Shinto, Zoroastrianism, Judaism, Christianity, and Islam. Also included are the most important scriptures of the new religious movements: Baha'i, The Church of Jesus Christ of Latter-Day Saints, the Christian Science Church, the Unification Church, and the Church of Scientology. 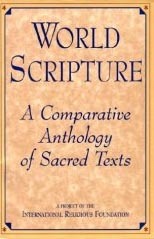 Supported by introductions to the readings by the editor, this anthology provides the most comprehensive and pedagogically sound access to the sacred literature of the world available in a single volume. 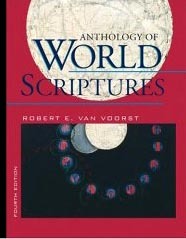 World Scriptures is an extraordinary journey through the sacred writings of the worlds great religions. Organized by subject, the quotations, passages, and excerpts presented here provide readers with easy access to teachings on several hundred subjects. This unusual anthology provides a new, holistic approach to understanding religionstressing what unites us rather than what divides us. Among the religious texts represented are Judaism, Christianity, Islam, Buddhism, Taoism, Hinduism, Confucianism, Jainism, Sikhism, Bahai, Church of Jesus Christ of the Later Day Saints, and Zoroastrianism. Also featured are the oral traditions of various religions of Africa, Native America, Asia, and Oceania along with their recorded prayers and proverbs.